SEO or Search Engine Optimization is a method of increasing traffic flow to your site or mobile app using organic search engine results. For instance, if a potential prospect is in need of a service or product, he/she will be highly inclined to use a search engine (i.e. Google, Bing, Baidu, etc.) to research where to buy, how much, and what is the best service or product to get. The links listed near the top and within the first few pages of any search result are more likely to appear when your future prospects are searching if you use the right SEO strategies. So, the question is, how do we get our site or mobile application listed within those first few pages? Well, SEO (Search Engine Optimization) is the only competent needed, however, there are many types of SEO available to you. So, you can pick and choose which will work best towards you and your clients. Google Analytics is a great tool for tracking/ generating reports to see if any or your SEO effort is displaying results to your current traffic flow and client form submissions. To get started with Google Analytics, start following the steps listed within this post. Views let you create filtered perspectives of your data. For example, all data except from your company’s internal IP addresses, or all data associated with a specific sales region. Get the tracking ID and follow the steps provided to add the tracking code to your website or mobile application so you can start collecting data in your Google Analytics property. Follow the instructions to add the tracking code to your website or mobile application so you can collect data in your Analytics property. Once you have Google Analytics configured and you are able to view the traffic on your site, allow it to run for a few weeks, then check back to see your baseline traffic patterns. This will be your starting point and you can start implementing Search Engine Optimization techniques to increase the amount and quality of traffic to your site. The initial page is the Dashboard. There are several Key Indicators you should watch. From the Dashboard, you should make note of the number of Users and Sessions. The number of Users indicates the number of unique users who visited your site. The number of Sessions indicates how many visits your site had. The section titled: “How do you acquire users?” Will indicate if the users found your site via Direct (typed in your url) Organic Search (Google Search Engine Organic Results), Paid Search (Google Ad Search), Display (Google Display Network), Referral (from other websites) or Other. The section Titled “What pages do your users visit?” will show which pages and how many pageviews you received for your top-ranking pages. Also, from the Dashboard, you can easily see the breakdown of devices used to view your website (desktop versus mobile or tablet users). 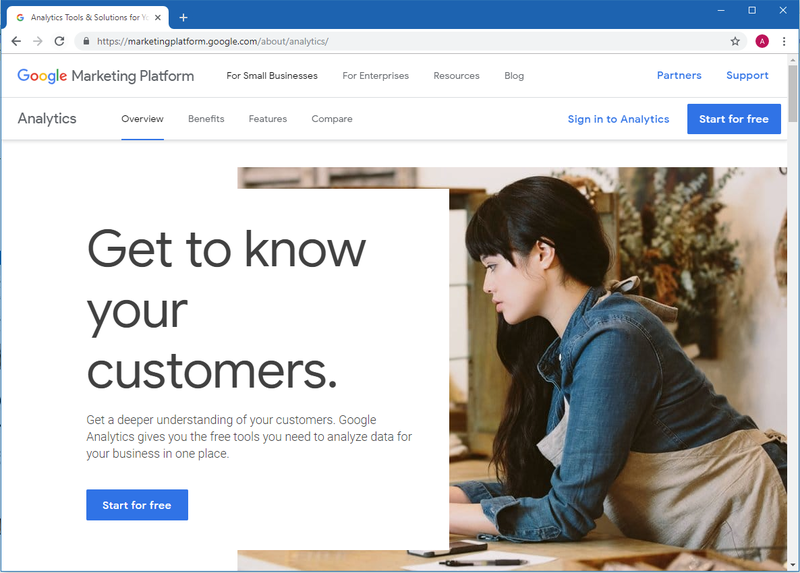 There is a huge amount of data you can review here by clicking or navigating to the other sections from the dashboard to get an idea of who your audience is, where are they located, what keywords they are searching for and much more.